I have a weakness for pillows/cushions! I can't help it :) I have an entire closet filled with pillows much to my husbands dismay :) I can't buy everything I like but I can certainly admire them :) So when I spotted these striking cushions, I had to share them with you. 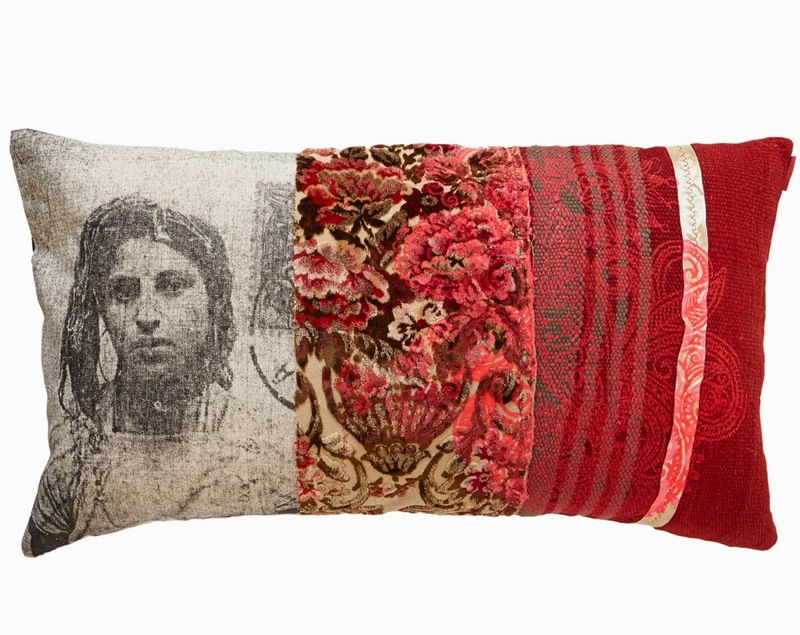 Available at Maud Interiors these cushions are inspired by Morocco and made in Marrakesh. Designed by Sylive Pissard, the cushions make quite a statement in my opinion! 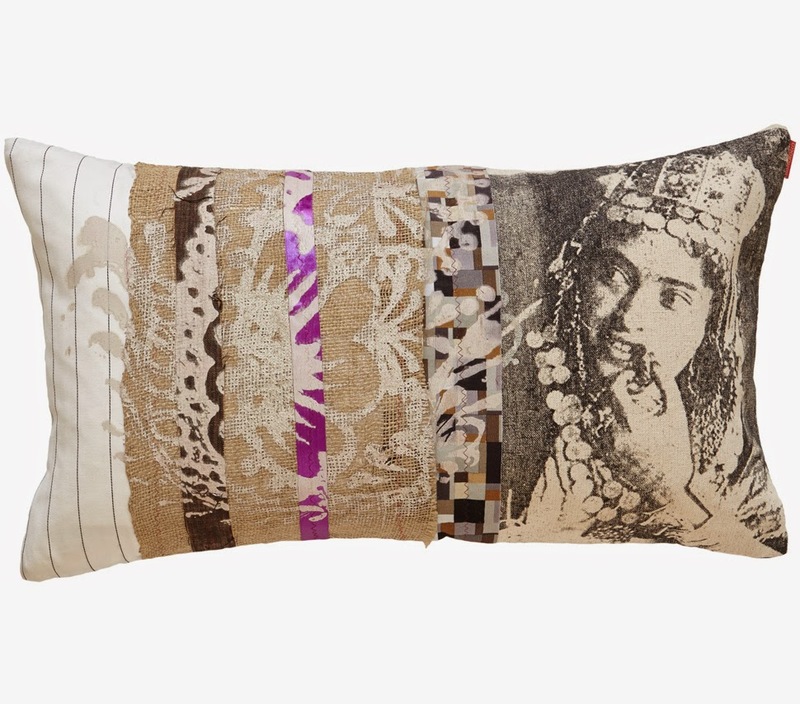 The cushions are crafted from vintage kilims, using ribbons, silk screened patterns and silk screened images of Berber women. To browse the entire collection, click here. 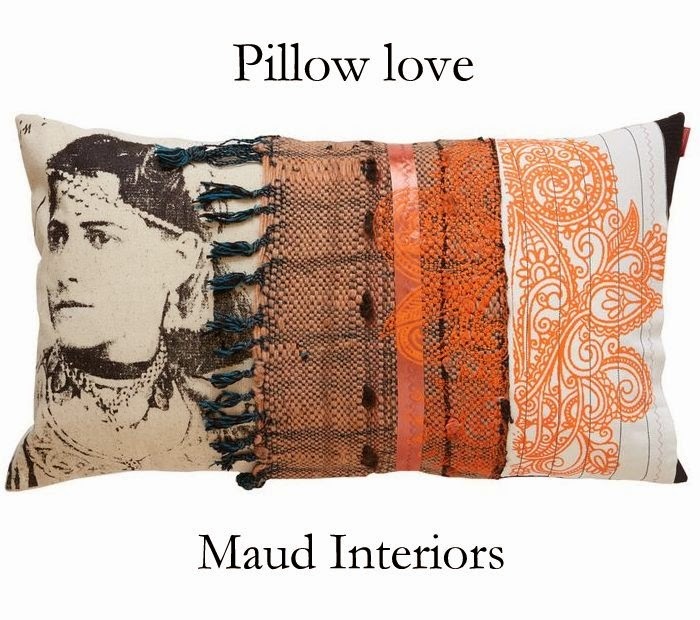 Maud interiors is an online boutique offering an eclectic mix of travel-inspired, quirky, contemporary and vintage home accessories and gifts all handcrafted by global artisans. So do you love them? Images: via Maud Interiors and subject to copyright.